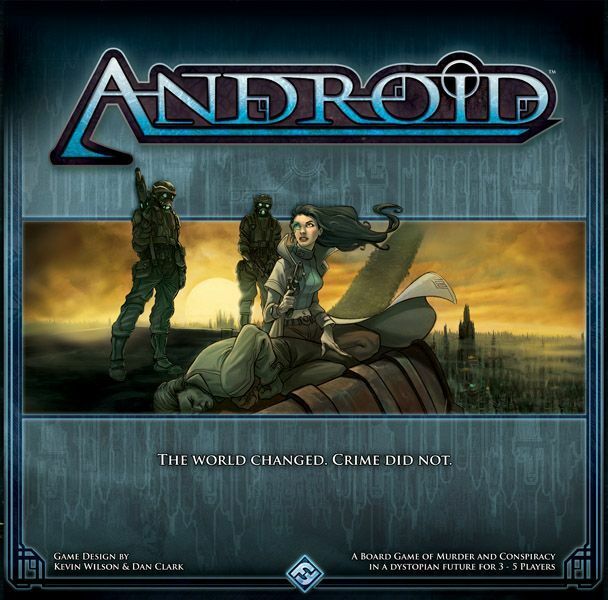 From the publisher: Android is a board game of murder and conspiracy set in a dystopian future. Detectives travel between the city of New Angeles and moon colony Heinlein chasing down leads, calling in favors, and uncovering the sinister conspiracy beneath it all. The detectives must balance their pursuit of the murderer against their personal lives and their inner demons. Android’s innovative mechanics ensure that no two detectives play alike. Will you play as Louis Blaine, the crooked cop tormented by guilt and loss? Or will you take the role of Caprice Nisei, the psychic clone who struggles to retain her sanity while proving that she’s as human as anyone else? Whoever you choose to play, you’ve got just two weeks to solve the murder, uncover the conspiracy, and face your personal demons.